The 'Cases' Rebels had to settle for a single point from the first of their three meetings this week as they lost narrowly at Leicester 46-44. The Rebels will reflect on a the lack of points from Bradley Wilson-Dean and Nico Covatti, both of whom suffered two falls a-piece, a strained back sustained by number one Jason Doyle that denied him the chance to ride in heat 15 and, most critically a shed chain suffered by Aaron Summers when lying third in heat 14 that would have levelled the scores going into the final heat, a position that team boss Garry May felt would have given a different complexion on the final outcome. "Aaron was desperately unlucky in 14, he had done the hard work and then just couldn't avoid the hole on the first turn and that ended his night on a downer. With Jason having strained his back in his first ride he just wasn't up to going out for another extra ride, having already taken the tactical that had helped us get back into the game. So my options were a bit limited in 15 and I would have gone for Aaron possibly had their been more time. I knew it was going to be tough for Richard from the outside as Leicester had the advantage of gate call, but that's speedway. I will take the league point, of course I would have liked more but it wasn't to be." After benefitting from a re-run first heat after Wilson-Dean fell, as Wells headed Doyle. the Rebels number one picked up a convincing victory before Somerset went into a heat two lead as the meeting started to trade in 5-1 scores, Leicester responding through ex-Rebel Charles Wright and the impressive Connor Mountain, who celebrated becoming a Lions asset with a starring paid 14 score from five,, outings. Holder and Summers restored the lead for the visitors and then Doyle again was left to fight a lone battle after a piece of exuberance from Wilson-Dean saw him take another nasty fall. Leicester, levelled in heat 6, the first of three-in-a-row maximums for the basement side, Mountain featuring prominently in two of them. Doyle came in to pair up with ally Jack Holder to help the Rebels cause in heat 9 as they halved the deficit but Andersen and Wells collected a 4-2 over Lawson and the stricken Covatti before Doyle and Allen countered to go into the break trailing by half a dozen points. Allen had another third place immediately after the break, his partner Summers enjoying his visit back to his old stomping ground. The hot money was on Somerset moving clear as Doyle and Holder were paired in heat 13 but Scott Nicholls outwitted them both and the heat was shared. 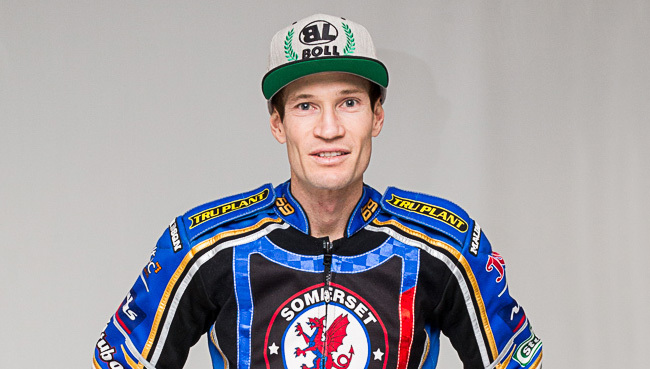 Somerset looked to have the chance of levelling as Lawson beat rider replacement Wright and Summers was sitting comfortably in third until he hit the hole that forced his chain off. That left Somerset needing a full house from the final heat for victory on the night but Nicholls and Andersen were too resilient for Lawson to bread down as Holder signed his night off with a win.